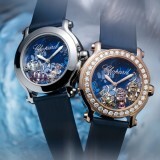 Every year, Paneristis wait with bated breath when SIHH comes around to see what new special edition watches Panerai will release. Last year’s standout special edition pieces were arguably the series of Radiomir 1940 chronographs (hands-on here) rendered in various precious metals, featuring a handwound movement based on the venerable Minerva caliber 13-22; also, the Radiomir 1940 3 Days Marina Militare Acciaio, which is a homage to the vintage Reference 6152 from the 1940s. This year, the standout pieces thus far are the Panerai Radiomir 1940 Equation of Time 8 Days Acciaio and the Panerai Luminor 1950 Equation of Time 8 Days Acciaio. 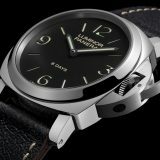 The equation of time complication is rarely seen on Panerai watches, and I believe the last Panerai watch to feature it was the Panerai L’Astronomo or PAM 365 from 2010. For those unfamiliar with this complication, it shows the difference between “true” or “apparent” solar time and “mean” solar time. This is because the length of a day is only exactly 24 hours on four days of the year, the rest of the time it varies between plus and minus 16 and 14 minutes, respectively. 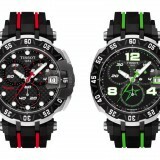 “Acciaio” is, of course, steel in Italian, and both watches will be offered with stainless steel cases. Apart from their case design, both watches are identical in terms of movement and dial layout, so let’s first dive into the movement powering these watches. 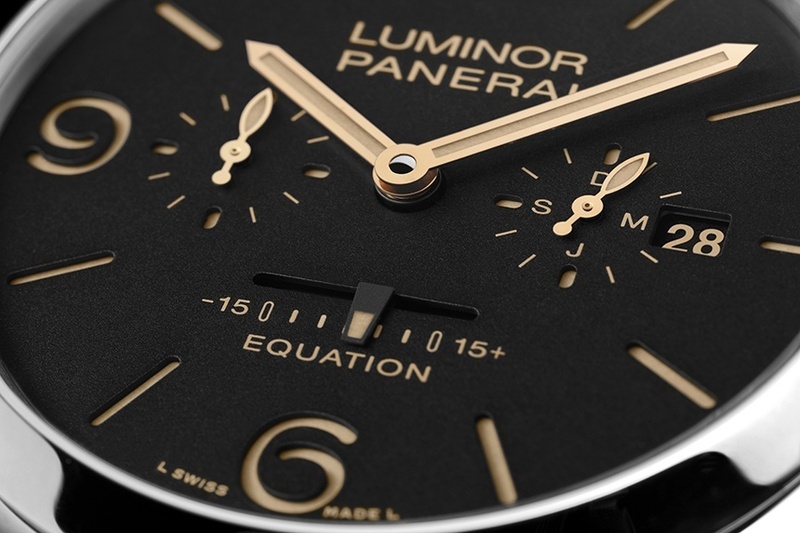 The movement underneath the Panerai Radiomir 1940 Equation of Time 8 Days Acciaio and the Panerai Luminor 1950 Equation of Time 8 Days Acciaio is the new P.2002/E, which in turn is based on the P.2002 – Panerai’s first in-house manufactured movement. Like all in-house manufactured Panerai movements, the P.2002/E movement is large and measures 13¾ lignes (roughly 31mm) wide and 8.3mm thick. It is made up of 328 parts, beats at 28,000bph, and thanks to its three spring barrels, has a power reserve of 192 hours, or 8 days. 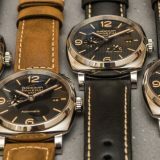 Both watches have Panerai’s signature sandwich-style dial, gold hands, and ecru lume, giving it a warm and vintage look, not unlike the Luminor 1950 3 Days. 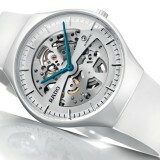 At nine o’clock, you have the running seconds with a reset function, and at three o’clock, you have the date window and a circular indicator for the months. 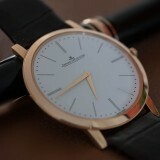 The equation of time indicator is displayed using a linear indicator at six o’clock. A power reserve indicator is located on the back of the movement and can be viewed through the watch’s sapphire display case back. 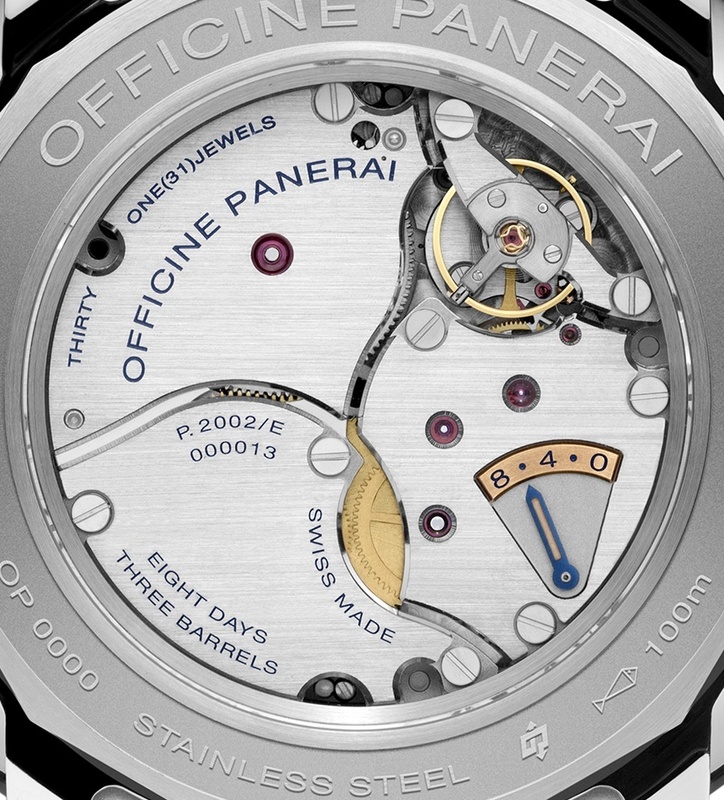 Admittedly, it is a little busy looking, but Panerai has done a good job of fitting all the complications on the dial. The circular indication of the months is particularly clever, but a part of it is cut off because of the date window. Also, since its unusual for months to be displayed in this fashion, reading it will take some getting used to. If you think that regular Panerais have dials that are too plain-looking, this one is for you. 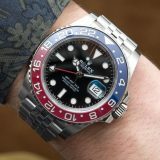 And just as with other brands like Omega, Rolex, TAG Heuer and Patek Philippe, it also has very insightful and loyal aficionados that are, arguably, un-matched by any other. 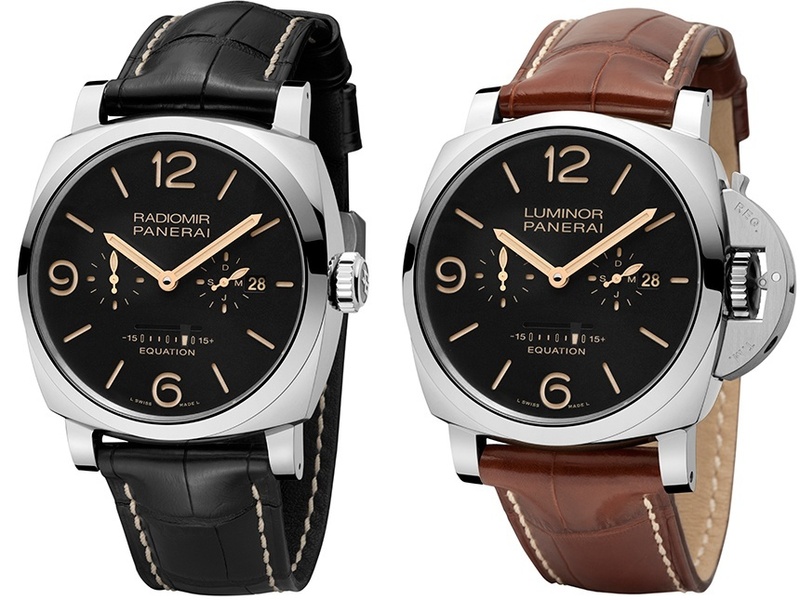 Much of Panerai’s heritage derives from the near and historical role as the official supplier to the Royal Italian Navy (Regina Marina), where its marquee models — the Radiomir and Luminor — were designed especially for the Italian sailors, as a result of their specific requirements. Panerai was founded in 1860 by Giovanni Panerai about the famous Ponte alle Grazie, Florence.In the first portion of the 20th century, Panerai began to experiment with luminous materials in an effort to produce pure instrument dials, sights, and telescope apparatus that could be used in the dark. A material was developed and awarded the name Radiomir. It was perfected in the 1930s by Giuseppe Panerai, and a prototype Panerai Radiomir wristwatch was filed to the First Submarine Group of the Royal Italian Navy for approval in 1936. 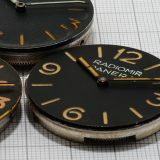 This wristwatch obtained the acceptance, and by 1938 the prestigious Radiomir was being employed by elite teams of Italian naval commandos from the field.After World War II, there was a restricted number of Panerai Radiomirs in circulation, and of course this meant that they’d also become highly sought after collectors’ items. 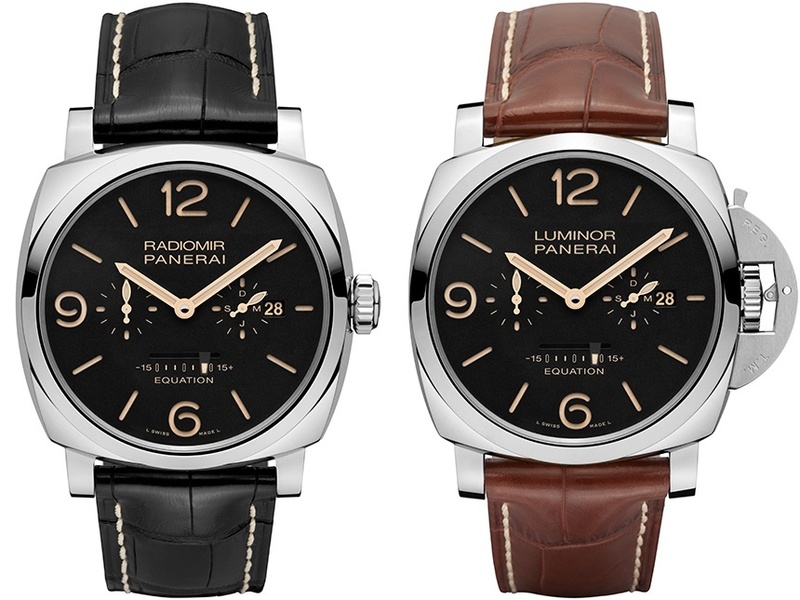 In the early 1950s, the revered Radiomir that place Panerai on the map was replaced by the Luminor, characterized by the iconic crown-protecting bridge, but the case and dial layout were retained. 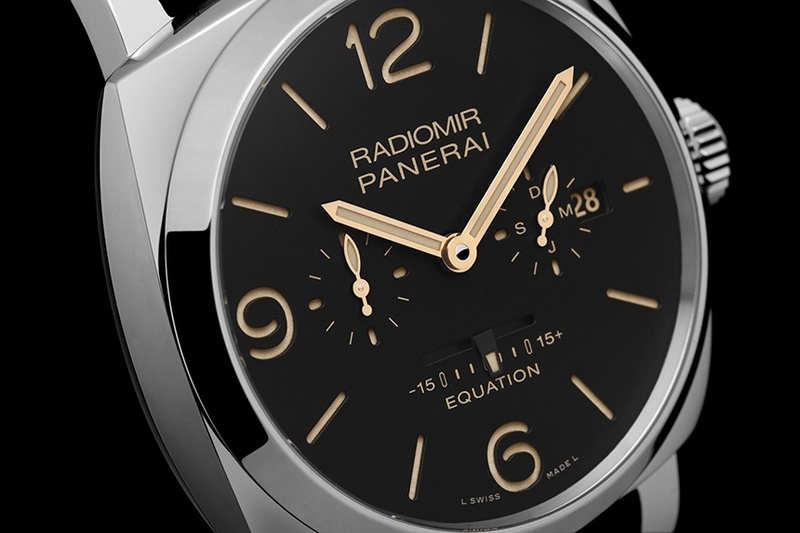 Elsewhere, the Panerai Radiomir 1940 Equation of Time 8 Days Acciaio comes in a 48mm polished case with polished bezel. And because it is done in the 1940s style, it does not have the wire lugs of the regular Radiomir models. 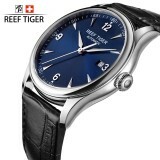 It has a screw down crown and a rated water resistance of 100m. It also comes with a black alligator strap with ecru stitching and will be limited to just 200 pieces. Next story Apple Watch Edition Series 3: Is The Ceramic Case Worth It?